You may take for granted that you will rise in the morning and function throughout the day, go to work or to school, and accomplish the tasks before you. However, in every endeavor, you are powered by divine life. You are Blessed with the ability to read or hear these words and understand their meanings. You are Blessed with the ability to think, plan, visualize, share, and understand ideas. How wonderful is that! When You notice any Anxiety, Worry, or Fear creep into your mind, You should shift your thinking to the healing power of God. With gratitude, You should tell Yourself: The light of Truth shines within my mind and body. I am whole and well. 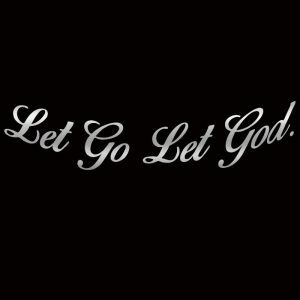 You should let go and open your mind and heart to Guidance from God. You may push yourself to near exhaustion. When this happens, Spirit will guide you to rest your weary brain and body. As you let go, the wall built from your “do-it-all-myself” attitude will begin to crumble. With the first opening, the light of God will shine through. You should relax in the awareness of Spirit and release your tight hold on Challenges and Circumstances. Letting go will bring down the wall of separation. You can keep the channel open for Answers, Guidance, and Love letting you know that You are never alone. You have a responsibility to yourself and others to be true to who you are. You should be all things good because You are one with God. Nothing can prevent you from being true to the presence and Power of God in you. You should move forward with Courage and Faith. You should set an example for others, You should be upright and sincere in your words and actions. You should let your inner Light Shine, You should Act in Love, You should show the world your Truth and demonstrate the Power of Accepting Responsibility for yourself.